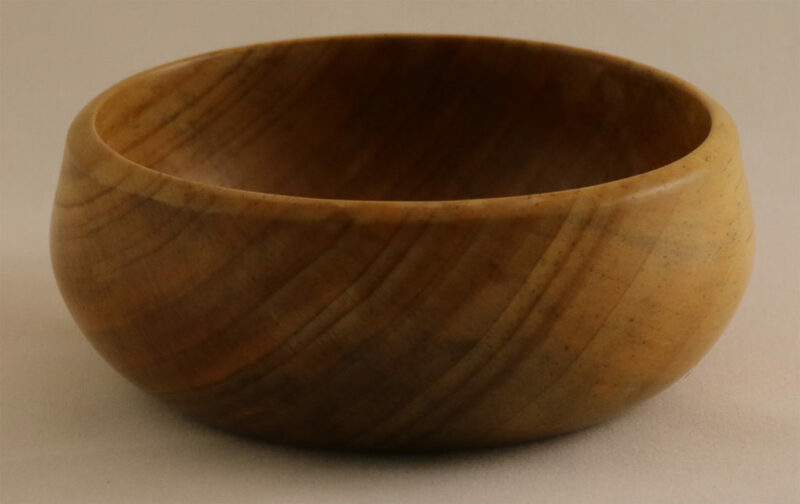 Turned during my Spring 2012 semester at Palomar College, this unique bowl was carved from a solid blank of Torrey Pine, a protected species of tree that native to San Diego. 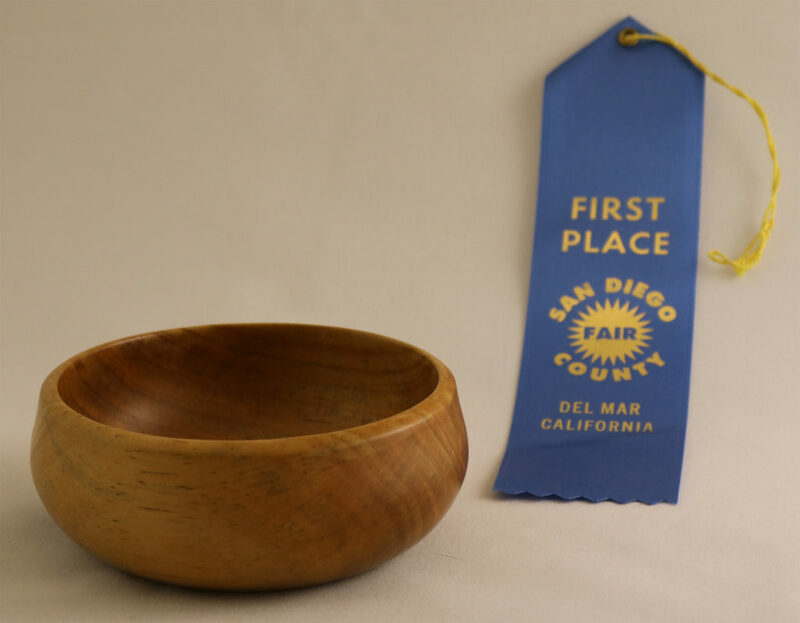 Palomar College was able to source this lumber through its Urban Forestry program, which works with the county of San Diego to obtain felled trees for milling to supply lumber for its students. 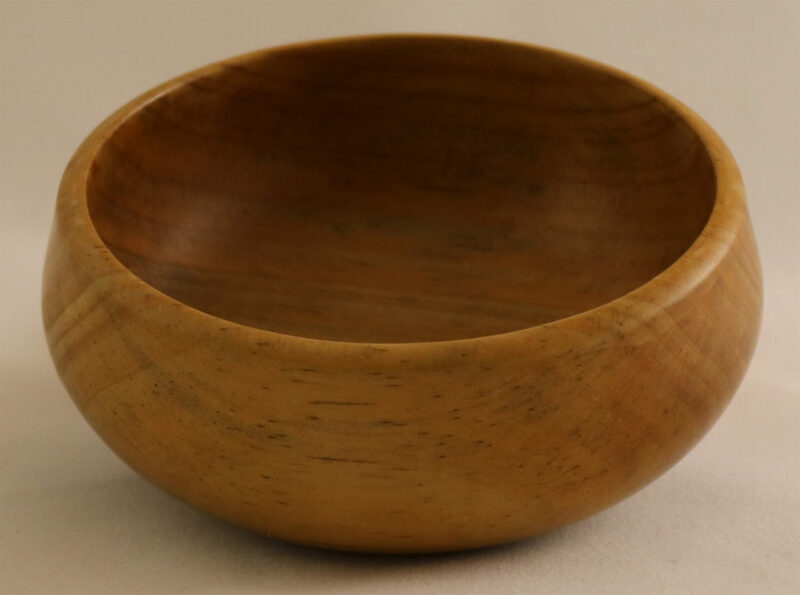 This small bowl was sanded to a silky-smooth texture and finished with a spray-on polyurethane. 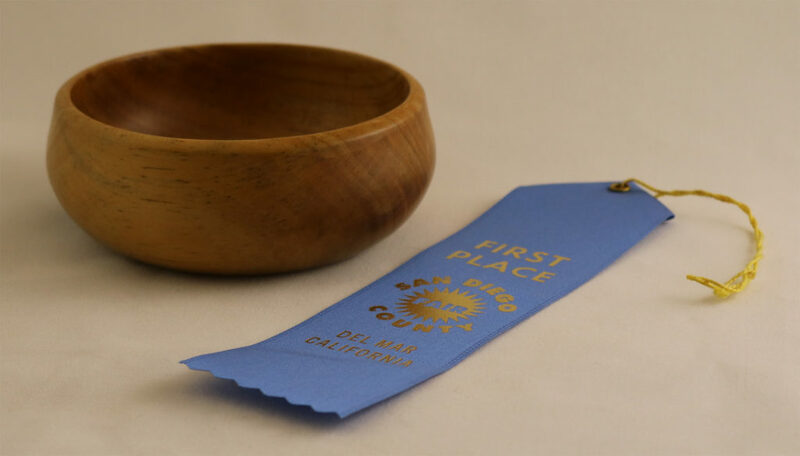 Following the completion of the semester, I entered this bowl in the San Diego County Fair’s student exhibition, where it took home a First Place ribbon.